Home › Analysis › Adrien Rabiot (PSG): don’t forget that name ! 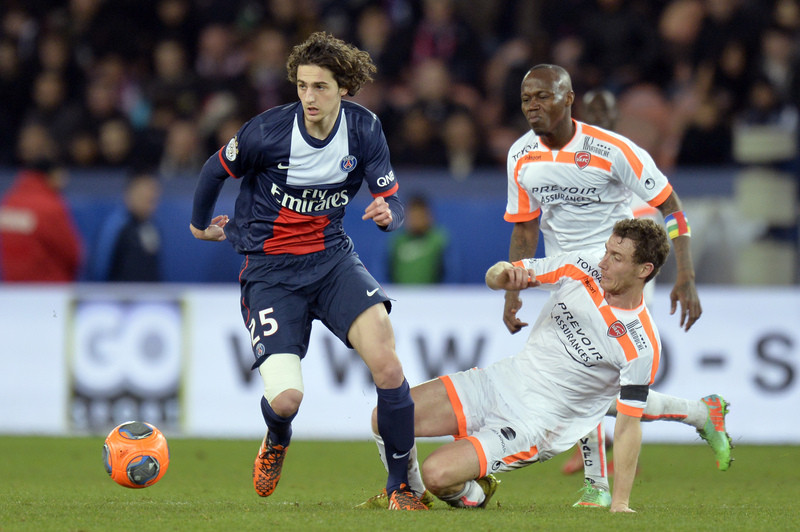 Adrien Rabiot (PSG): don’t forget that name ! 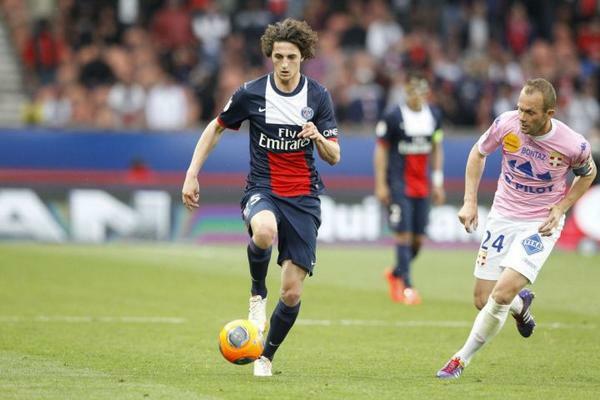 Adrien Rabiot, too young to decide his future? La Roma, Arsenal and Tottenham are first in line! The Parisians next Champions League game, will be against Messi’s Barcelona but Adrien Rabiot’s name, won’t be on the team sheet as two years before, when the youngster made his debut against the Catalans, only aged 17! So many events in the life of the french international midfielder, since his three spells at US Creteil- Louisitanos and an unexpected 6 years lease contract with Manchester City, only to see it interrupted a few months later for contractual reasons! Fortunately, his lucky star hadn’t abandoned him; after joining the Parisian Training Centre, two years were sufficient to find him playing side by side, with world-class players as Zlatan Ibrahimovic! Finding his place in the impressive Parisian squad is not easy for a young inexperienced player: Rabiot played some games, scoring his first and victorious goal versus Stade de Brest, a long 25m shot. After 6 subs in Ligue 1 he was loaned to Toulouse FC for 6 months and played 13 games, scoring once. His former Toulousain coach Alain Casanova, was very impressed by this young talent:”I like his game, he’s so precocious and has lots of technical qualities” he said regretting that PSG’s new appointed manager, Laurent Blanc, refused Toulouse’s sale proposition and called him back to Paris. Rabiot’s is an atypical midfielder and this is his main force; because of his height( 1.88 m), he’s strong in the air, causing big trouble to smaller defenders ; he can also combine salvage , relay and exploit the ball, while reading perfectly the game’s development. His precocious talent was confirmed at the national side of Under-19 in the Euro Cup 2013; France lost the Final versus Serbia 1-0 but Rabiot outshined the tournament. He was called by Willy Sagnol, former U-21 manager, for a friendly against Germany, but the youngster knows very well that he needs playing time with his club, if he wants to shine with the national team. Adrien knows quite well what to expect in the Parisian squad; he’s placed behind stars as Thiago Motta, Blaise Mathuidi and Marco Veratti. Too impatient to watch the game sitting on ( the very comfy) PSG’s bench he wants out and the sooner, the better. He asked his transfer in the last Summer Window, but Roma’s 15M euros bid failed apart, over personal terms. Latest club news is that he’s banned from the Champions League games, thus his disappearance from PSG’s game sheet. Is this some retali’ation from the club, because now the player wants to stay till the end of his contract (July 2015) and leave free, depriving Paris’ some millions, very much needed because of UEFA’s fair-play financial ban? Arsenal and Tottenham bids, will have to wait, till next summer; the good news is that the player will come on free, but one can be sure his paycheck will be enormous for a 19 year old. Leaving France, so young is it good or bad? He already played 50 professional games and he’s the youngest french player in a Champions League game. He could be PSG’s future star, the supporters favorite. Adrien Rabiot, he’s only nineteen; Zinedine Zidane, at 19 was second choice in the small club of Cannes. Rabiot, is more ambitious than the french Legend. He wants to be first choice , play with Cavani, Ibrahimovic, Motta and get the same paycheck as …Messi ? 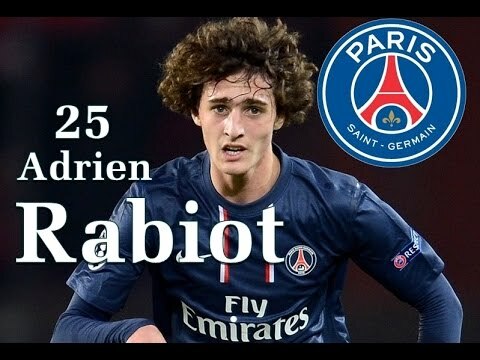 Adrien Rabiot: don’t forget this name ! ‹ The Mysterious Mr Adebayor ; A Spurs Tale.